This fabulous recipe for Tex Mex grilled chicken is coated in warm spices, grilled to juicy and tender perfection, and served with cool salsa. It's cooked on the George Foreman, or dual contact grill, so it cooks in half the time it would take in the skillet, under the broiler, or on an outdoor grill. You can make this chicken as spicy or mild as you like. If you like really hot food, add some more cayenne pepper or crushed red pepper flakes. Add a minced jalapeño pepper or two, and increase the amount of chili powder. Mild or hot salsa completes this dish. This chicken would be delicious topped with cheese if you'd like. To do this, when the chicken is thoroughly and safely cooked, remove from the grill, place on a clean plate (NOT the plate you used to hold the raw chicken), and top it with a slice of cheese. Pepper Jack, Monterey Jack, or Cojack would be delicious. Cover with foil and let stand for 5 minutes. This will let the cheese melt and let the juices in the chicken redistribute. Then serve, over hot cooked rice, or with heated flour or corn tortillas. This simple and spicy recipe can be served with a green salad tossed with avocado and sliced summer squash, and some fresh fruit, perhaps in a gelatin salad. Some cold beer or iced tea would be a great accompaniment. 1 cup chunky salsa, mild or hot; your choice! Place the chicken in a heavy duty zip lock bag. Combine cumin, chili powder, cayenne pepper, and garlic salt in small bowl and mix well. Sprinkle over chicken in bag and toss to coat. Drizzle with olive oil and toss again. Seal bag and massage it to work the spices into the chicken. Then place the bag in a baking dish or bowl and refrigerate for one hour. Prepare and preheat two sided or dual contact grill. Grill the chicken on the dual-contact grill for 4 to 6 minutes until thoroughly cooked to 160°F are measured by a reliable thermometer. 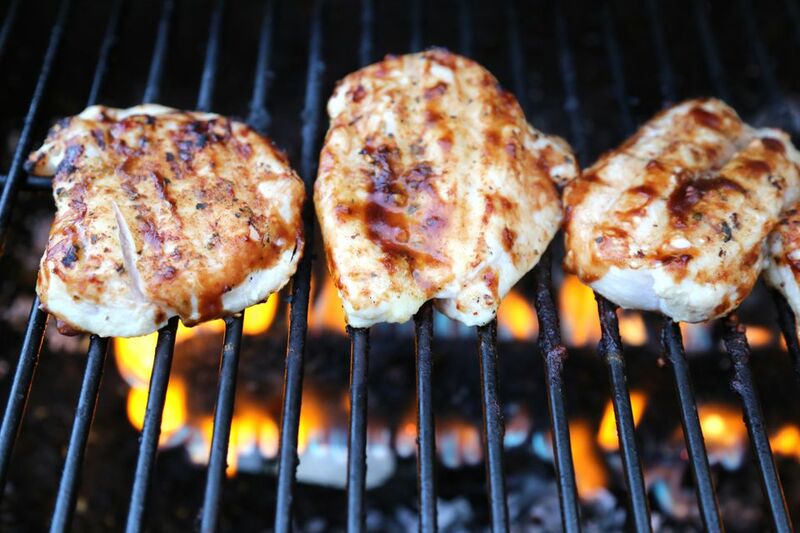 Or grill the chicken on a preheated outdoor gas or charcoal grill for 8 to 11 minutes, turning once, until juices run clear when pricked with fork and the chicken reaches 160 F.
Place the chicken on a clean plate and cover with foil. Let stand for five minutes, then serve with the salsa.